Deconstructed look utilising the natural shape of a possum fur hide. I simply LOVE my fur collars from Possum NZ! 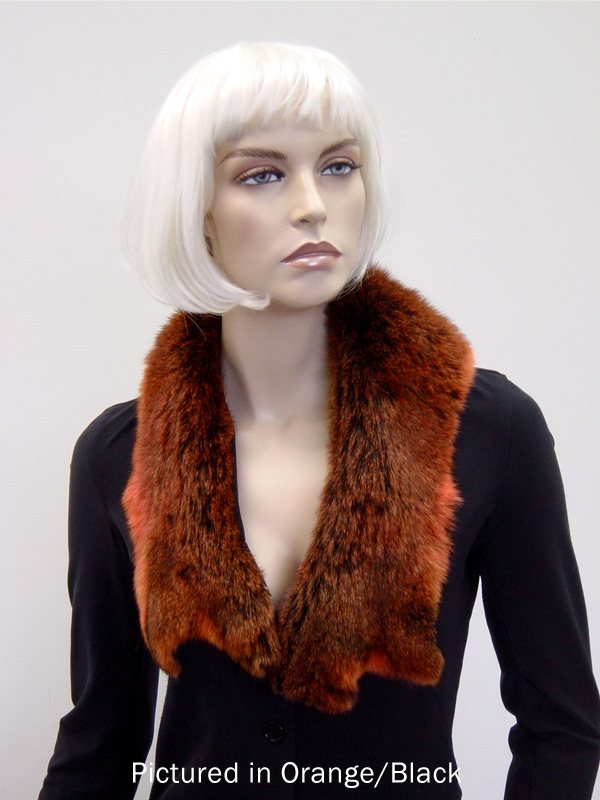 They have been a stunning addition to my wardrobe and never fail to draw favourable comments whenever I wear them.Not only are the furs of top quality but the service is as well. To the team at Wear New Zealand, a huge thank you! The fur collar that I purchased online on Monday, hoping to be able to take it overseas with me early next week, has arrived in record time. 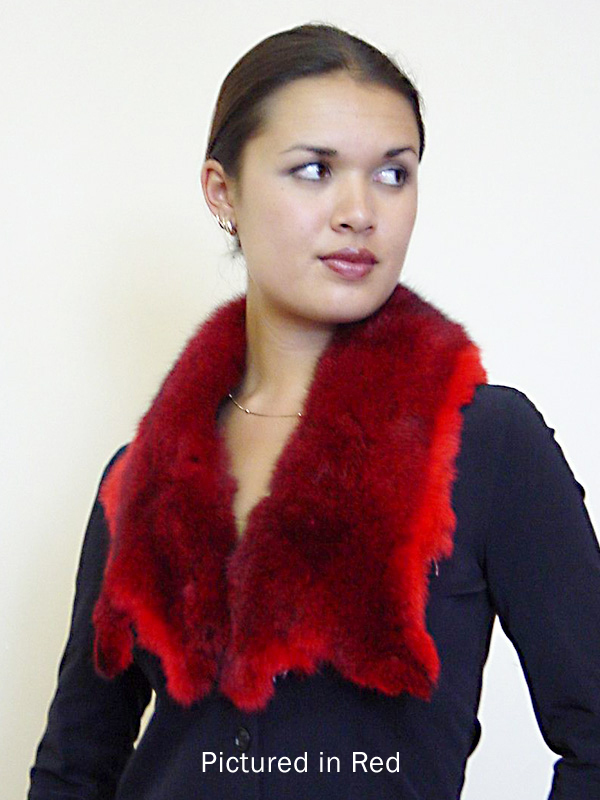 The fur collar (red) is beautiful and I am sure my daughter will love it. I very much appreciate your service, miracles can happen! Again thank you. 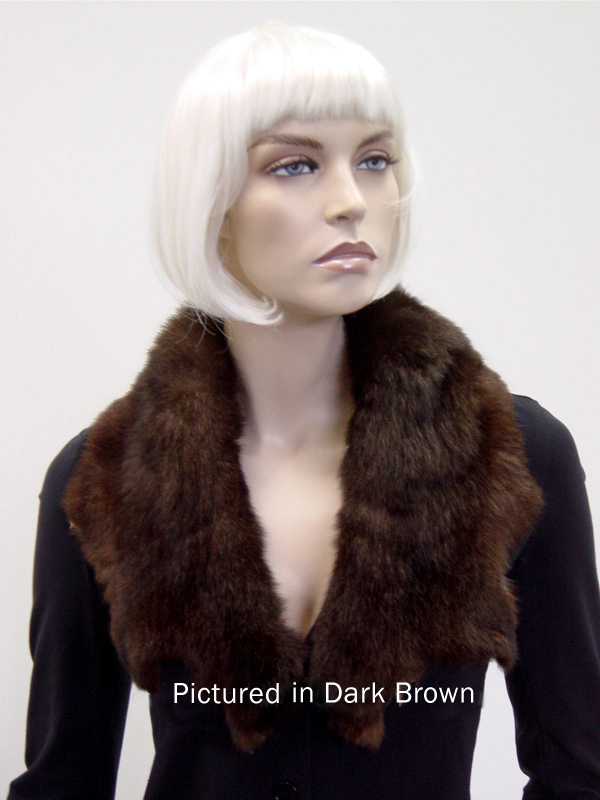 This funky collar shows off the graduated colour variations of possum fur in most hues. The result is a deconstructed fashion statement that has the ‘wow’ factor. In order to produce this style, we have to select the most naturally symmetrical premium fur hide and hand cut to it's natural shape. That means no two collars are ever the same as every hide is slightly different. This collar slopes to a "v" at the centre back and wraps around the neck beautifully. The Raw Edge Collar is cut sooo well, it can be worn in a variety of ways. Use the built-in elastic loops and attach to your favourite jacket, or wear loose with or without the leather tie provided. Tie or drape it around your neck at front or side or even position as a mini wrap high on the shoulder - a few creative options for you to discover in this very versatile number! Team with a Raw Edge Bag or any one of our other Possum Fur Accessories.